Holi Indian Restaurant located at 20 North Road is now open. The restaurant replaces Dalya's which closed last December. 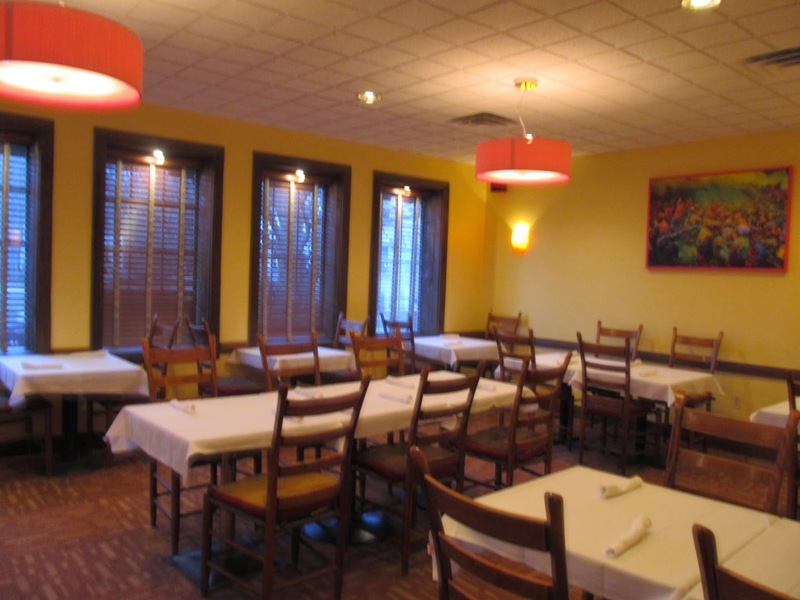 Holi is managed by Amarjit Singh, who is one of the owners at Zaika Indian Bistro in Woburn. 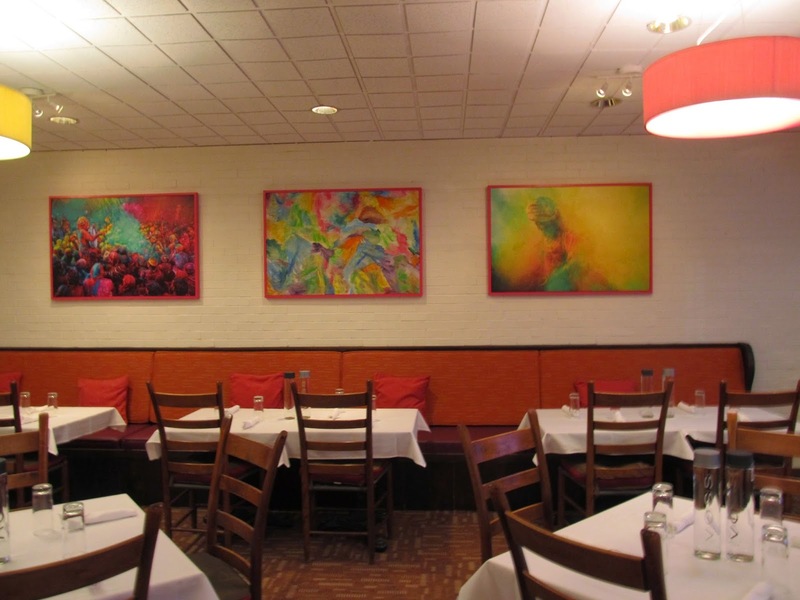 The space underwent an interior renovation resulting in a much more modern and colorful appearance. The new restaurant which has about 100 seats plus a small bar area, will be open from 11:30am until 11pm most days. 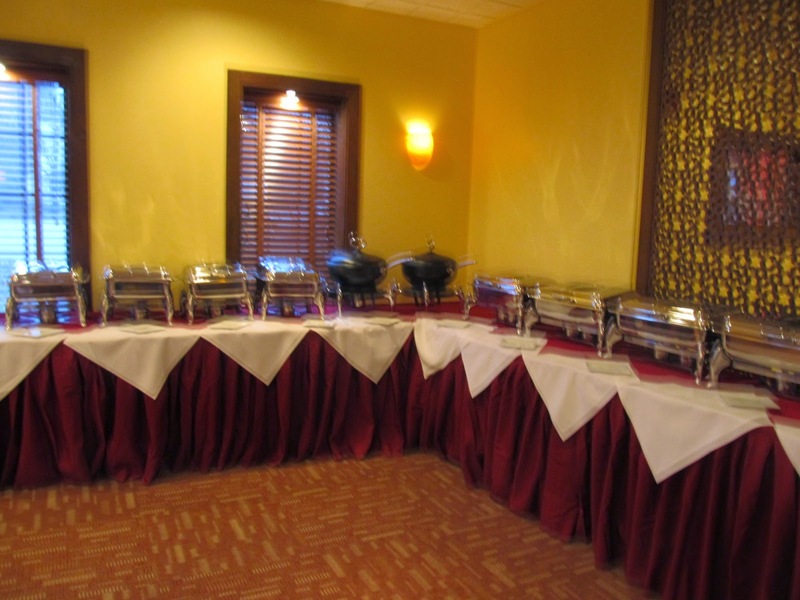 A lunch buffet will be available until 3pm daily. Amarjit also has plans to offer delivery within a 3 mile radius. It's good to see a new restaurant come in to the Dayla's location so quickly. Bedford has been missing an Indian Restaurant. Key to success will be attracting employees who work in Bedford to come in for lunch or after work for dinner. Currently many of them go to Burlington or Billerica for Indian Food. 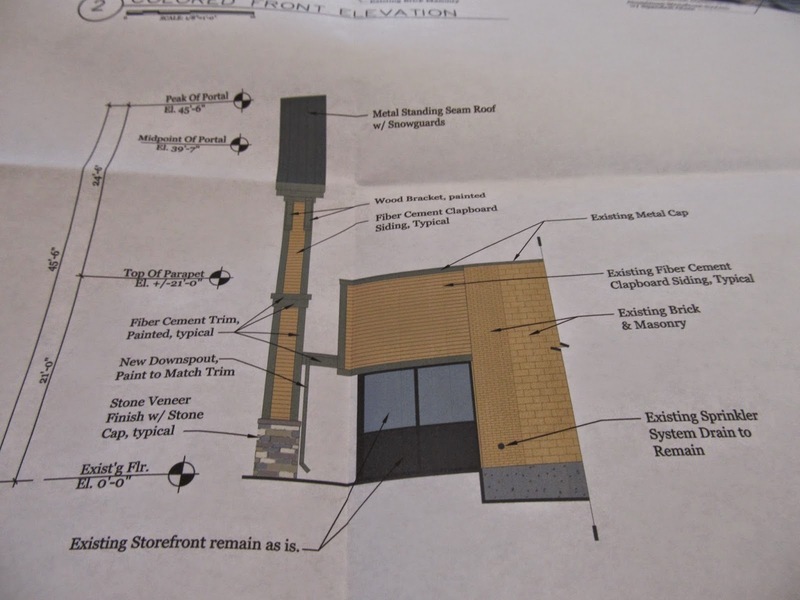 The Whole Foods at 170 Great Road in the Bedford MarketPlace has submitted plans for a new front entranceway. The new addition which would stand in front of the existing storefront, has a maximum height of 45 feet and a mean height of 39 feet. The building itself has a height of about 21 feet. Depiction of proposed entrance way. Please click on the image for a larger view. The current zoning in Bedford allows for a maximum height of 37 feet. 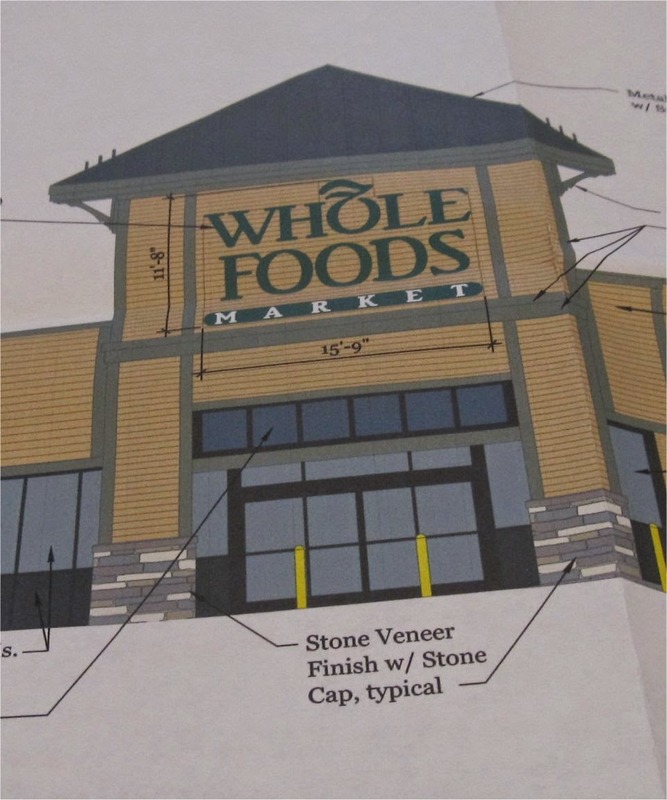 Since the average height of the structure is 39 feet, Whole Foods has applied for a variance from the Zoning Board of Appeals. Side view of the proposed entrance way. Please click on the image for a more detailed view. 1. It seems like Whole Foods is interested in getting more visibility from the front of the shopping center. This may be due to the fact that the new one story buildings in front of and to the side of Whole Foods will be at least a few feet taller than the previous buildings. 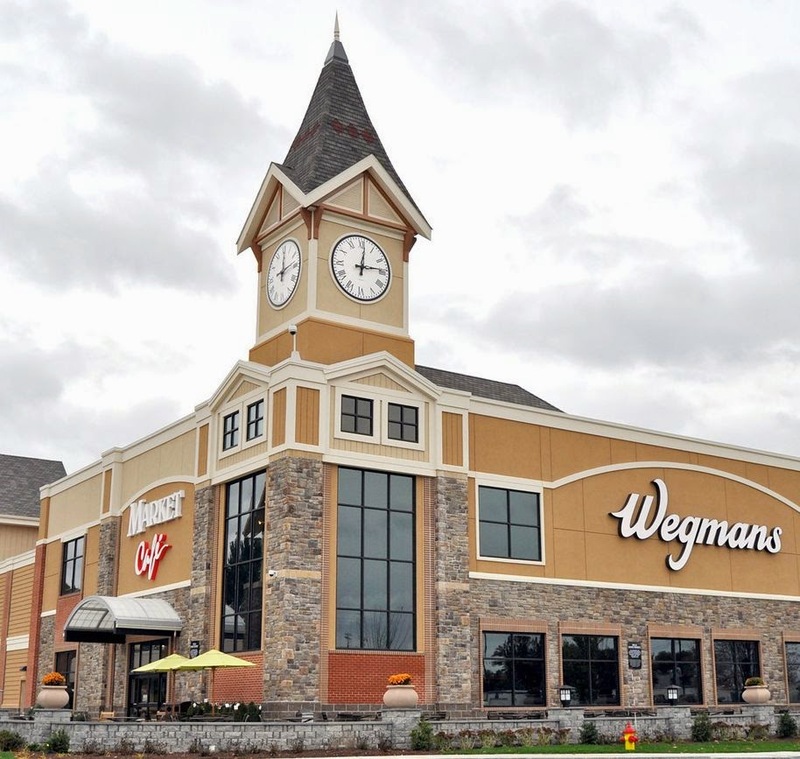 It could also be due to competition with the new Wegmans in Burlington. 2. With the new building going up next to Marshall's (which along with the Red Tavern Restaurant is expected to have about 12,000 square feet of additional retail space), the facade at Marshall's is looking pretty out of date. It will be interesting to see if this is updated.